Posted November 18, 2015 by 99MilesPerHour5 Comments on The Magnificent Series 70 Eldorado Brougham by Cadillac	"As the Standard of the World Turns"
Cadillac is the most famous luxury brand of all the classic American Grand Marques. The brand is underrated because there are so many on the highways all over the world. Cadillac introduced so much throughout its tenure that it has been taken for granted by the entire automotive industry. Cadillac has built luxury cars in such high numbers; it makes the competition green with envy. The brand is currently undergoing an existential identity crisis – it is trying to be too many things in too many classes where it should not belong. Cadillac should realize its commercial importance in the luxury car class – and leave it as such. The Series 70 Eldorado Brougham introduced a new realm in motoring majesty. These resplendent automobiles are the logical successors to the illustrious Cadillacs that preceded them. The fabulous Eldorado Brougham has all the virtues that made Cadillac the “Standard of the World.” They satisfied the most discerning luxury car buyers. And…who would have thought such awesome jaw-dropping power would come from a luxury sedan? The Cadillac…the TRADITIONAL Cadillac didn’t stint on luxury or performance. It is truly a masterpiece from the master craftsmen – a masterpiece that could only come from the undisputed “Standard of the World.” Whatever the occasion, there was no more gracious manner to arrive…than in a Fleetwood crafted Cadillac. The Series 70 Eldorado Brougham is NotoriousLuxury in every respect. These elegant ultra-luxury four-door hardtop sedans remain popular with fine automobile connoisseurs world-wide. The 1957-1958 Detroit-built versions have become the most desired of all post-war Cadillacs. Prices for these classics demand six figures and there is always a long line of enthusiasts waiting to purchase them. The Series 70 Eldorado Brougham was built at a highly restricted pace which makes the survivors command top dollar on the auction block. A Cadillac Brougham has always retained the attribute of being the most luxurious owner-driven luxury sedan throughout the different model series configurations; with the ultimate versions built as the Fleetwood Series Sixty-Special Brougham. Model #57-70 style code #7059X 1957 Series 70 Eldorado Brougham four-door hardtop sedan had a base price of $13,074 with a base shipping weight of 5,315 pounds and only 400 were built. Model #58P-70 style code #7059X 1958 Series 70 Eldorado Brougham four-door hardtop sedan had a base price of $13,074 with a base shipping weight of 5,315 pounds and only 304 were built. With a total production of only 704; the Series 70 Eldorado Brougham is a highly coveted collectible automobile. Cadillac opulence made the other luxury brands blush from sheer embarrassment. The Series 70 Eldorado Brougham gangster-slapped the automotive industry with power, presence, performance, and prestige – This was the counter to Lincoln’s Continental MK II which had a base price of $10,000 built in 1956-1957. Arrogance but not conceit…as luxury cars they are complete – they epitomize the Cadillac brand in its most magnificent form. These limited edition Flagships were modern in every aspect for the day. The Series 70 Eldorado Brougham is highlighted by a sleek pillarless design with elegant forward-opening rear coach doors. The extremely low overall height is just 55.5” high. Its low-slung silhouette is augmented by a brushed stainless-steel roof. They shared sheet metal with no other Cadillac; the design features a customized appearance. In the Fabulous Fifties…cars were lowered with chopped tops, frenched headlamps, unique tail lamp treatments, and futuristic bumperettes…the 1957-1958 Detroit-built versions had all of these unique styling tricks – and engineering features that were never before incorporated into any automobile at the time. The “Standard of the World” was synonymous with the word “first.” The Series 70 Eldorado Brougham marks one of the most important “firsts” in automotive history. The impeccable custom, hand-crafting by Fleetwood made it the finest luxury automobile in its class. This is one of the last hand-built Fleetwood-bodied Cadillacs. This is the first luxury sedan with virtually every feature and accessory offered as standard equipment. The fabulous Series 70 Eldorado Brougham embodies styling features and accessories that had never been offered before in the automotive industry. The Eldorado Brougham’s customized body is designed specifically for this model. The driver may open and close the trunk lid without leaving the seat by a master switch located in the glove box. All doors can be locked and unlocked by controls in the front passenger compartment. The six-way power seat has a memory control; the front seat automatically moves forward to aid access to the spacious rear passenger compartment when either rear door is opened – the front seat automatically positions itself down and back for front seat passengers when either front door is opened…when all doors are closed; the front seat automatically returns to the driver’s pre-set favorite position. The antenna automatically rises when the radio is turned on. Beneath the all-new quad headlamp system is a sound wave opening for the triple note horn. The standard air conditioning system includes two rear under seat heaters that can be operated individually by the rear seat passengers. The interior is every inch a Cadillac. The Brougham came equipped with distinctive mouton carpets or deep pile Karakul. There was a choice of over 45 interior trim combinations. Upholstery trim was available as glove soft leather or luxurious high-quality broadcloth. The rear armrest has a storage compartment for a note pad, pen, a portable vanity mirror, and perfume atomizer. The front compartment’s glove compartment contains gold finished magnetized tumblers, an Arpege or Lanvin perfume atomizer, a vanity mirror, powder puff, cigarette case, and tissue dispenser. 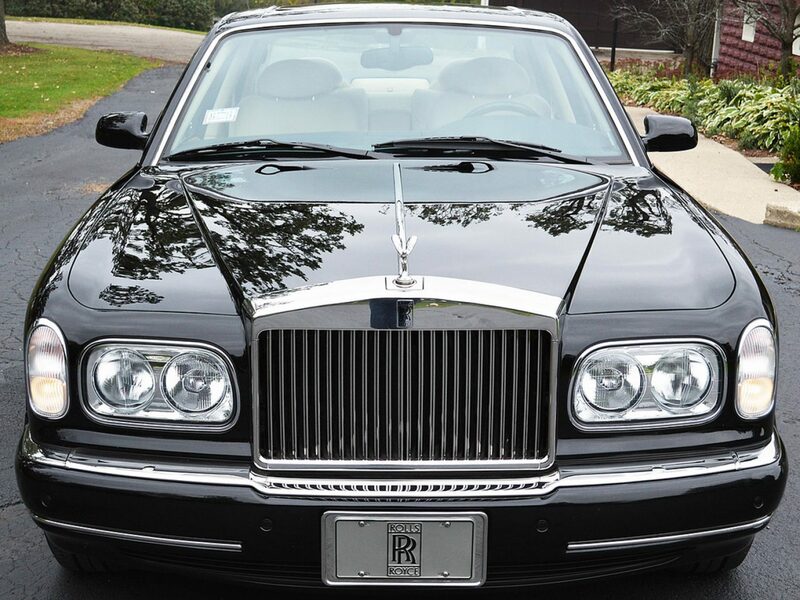 The Brougham pampered its occupants with luxury that includes an electric clock and polarized sun visors. Everything was power from the windows, seats, to door locks. Automatic transmission, power steering and brakes added to the Brougham’s long list of standard equipment. Exclusivity and supremacy in a motorcar is exemplified with the 1957-1958 Series 70 Eldorado Brougham. Another industry first by the “Standard of the World” is the four headlamp lighting system. This headlamp system was pioneered by Cadillac for the Series 70. The low beams provide greater wattage than traditional single beam headlamp systems for the day. The high beams produce an accurately aimed bright spot light. The combined wattage of all four headlamps was greater than the wattage for single high beam headlamps of the traditional incandescent bulbs. The lights are designed to project light for maximum vision at night without dazzling the eyes of drivers of on-coming vehicles. The four headlamp system was illegal in some states in 1957; they were legalized in 1958. Legislative action passed and it was the last time a law was passed to accommodate an automobile manufacturer. The rest of the automotive industry scrambled to catch up with this ingenious design. The most important innovation of the Series 70 is its air suspension leveling system. This is the first time a system such as this was used for automobile adaptation. It uses an individual air spring (air bag) unit at each wheel. This is a primitive version of the independent suspension of later model years. The air is supplied by a compressor through leveling valves to maintain optimum poise under any road or load condition. This not only contributes to a consistently luxurious ride quality but also aids the Brougham’s overall appearance to keep its luxurious poise at all times. The down side to this technology is the fact that the system was unreliable and the air bags were proned to blow-out at embarrassing moments. This issue led Cadillac engineers to introduce a coil spring override system which most Series 70 owners switched to. Many Eldorado Brougham owners have presently restored their cars’ air suspension regardless of the problems; many of which have been eliminated through modern technology. A Series 70 Eldorado Brougham with an operating air suspension system commands a higher price on the auction block than a converted coil spring version. The 1957-1958 Series 70 Eldorado Brougham is built as body on frame construction using Cadillac’s rugged tubular X-frame, one of the results of the car’s extensive research advancements. With this type of construction, the body is married to outrigger mountings as compared to previous designs where the body was mounted to side rails. The X-frame is stronger because its rigid backbone includes “V” type arms fore and aft. The outrigger mounts have brackets that protrude from the box-type beams. This is Cadillac engineering at its finest. The Series 70 rides upon a long 126” wheelbase with the luxury length of 216” and is 78.5” in width…Cadillac-style. It came equipped with an early version of the wide oval low-profile tires with narrow 1” white walls. General Motors announced the Series 70 Eldorado Brougham in December of 1956 as a limited edition luxury sedan. It went on sale March 1957. It is based upon the 1953 Orleans and 1954 Park Avenue concept cars introduced at GM’s Motoramas. The Eldorado Brougham concept car was introduced at the 1955 Motorama at the Waldorf Astoria Hotel. It is the first American completely pillarless four-door hardtop sedan. Cadillac was the only luxury brand famous for engines that produced prodigious power. Cadillac was also the master builder of the V8 engine. The Series 70 Eldorado Brougham is no exception. 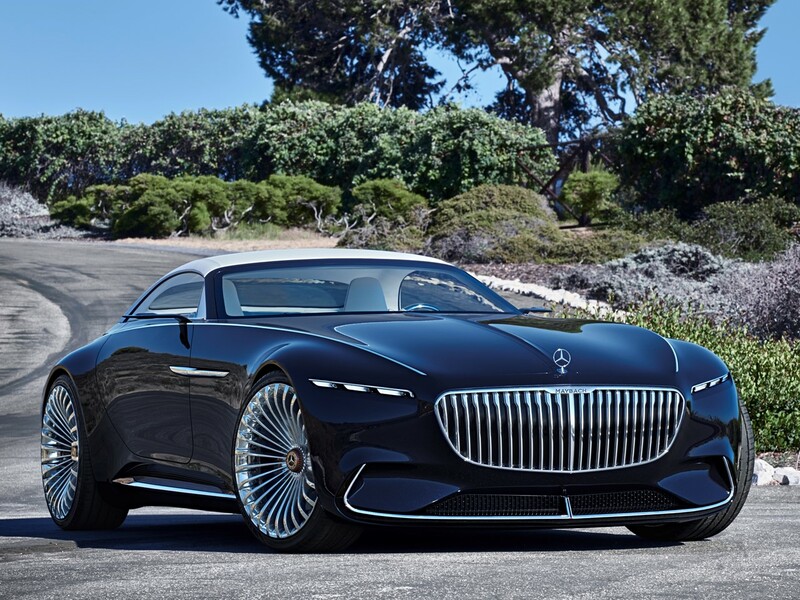 Its power is derived from a 5.9 litre 16-valve V8 engine. The engine is equipped with equalized manifolding, mechanical fuel pump, intake silencer, overhead valves, modified intake manifold, and automatic choke. The engine is mated to GM’s Hydra-Matic (Jetaway/Flashaway) 4-speed automatic transmission without torque converter. For the 1957 model year it was equipped with two Carter (WCFB 2583 & WCFB 2584) 4-bbl carburetors which generates 325 hp @ 4,800 rpm with 542 Nm of peak torque @ 3,300 rpm. Cadillac Eldorados were always the “wild and turbulent ones.” They were renowned for their spirited performance. Longitudinal acceleration is rated as 0-60 mph in 11.3 seconds, 0-100 mph in 32.6 seconds with a top speed in the 121 mph range. It does the ¼ mile @ 80 mph in just 18.3 seconds. For the 1958 model year the two 4-bbl set-up was replaced by three Rochester #7015801 2-bbl carburetors some refer to as a triple deuce, Pontiac called it Tri-Power. This set-up produced 335 hp @ 4,800 rpm with 542 Nm of peak torque @ 3,200 rpm. Longitudinal acceleration is rated as 0-60 mph in 11.2 seconds, 0-100 mph in 31.8 seconds with a top speed in the 122 mph range. It does the ¼ mile @ 81 mph in just 18.2 seconds. The triple deuce was a tad bit less fuel thirsty than the dual quad carburetor set-up…but who cared about the cost of petrol when it was far less than a buck per gallon? Cadillac had such a formidable reputation among luxury automobiles that just the mere mention of the “Standard of the World” had the competition limping home on one axle! The Series 6900 Eldorado Broughams built from 1959 until 1960 were hand-built in Italy by Pininfarina and lacked the Cadillac quality as the Detroit-built Fleetwood hand-crafted 1957-1958 versions. Production was farmed out to Italy to be more cost efficient. This move freed the Fleetwood assembly line. The Series 70 was built completely by hand and slowed the processing of the other Fleetwood models. They could build the Fleetwood Series Sixty-Special a lot faster, it outsold the Series 70. There were issues with the 1959 & 1960 Series 6900 Eldorado Broughams which required a lot of post-build hand finishing once they arrived back to Detroit from Italy. The lacquer paint cracked in spots where lead was used as a filler. Their overall styling wasn’t as exquisite as the Detroit-built Broughams. The Detroit-built Series 70 Eldorado Broughams are Certified Milestone Vehicles. The Milestone Car Society is dedicated to the distinctive domestic and foreign motorcars built during the first two post-war decades. The 1959 Series 6900 Eldorado Brougham was really a hodge-podge of remnants from the standard Cadillacs. They were nowhere near as exclusive as the Series 70 Eldorado Broughams. The styling is rather nondescript. It took the eagle-eye to denote the difference between The Broughams and the standard Cadillac models. Only 99 were built for the 1959 model year. See how hard it is to tell the difference between the 1960 Series 6900 Eldorado Brougham and the standard models? There were only 101 sold for the 1960 model year. This was the last year for the Eldorado Brougham. Cadillac Eldorado Broughams are among the rarest of all Cadillac models. Either Series 70 or Series 6900 are excellent collectibles; however, the Series 70 Eldorado Broughams being Certified Milestone Vehicles, command top dollar on the auction block and are highly sought among connoisseurs of fine automobiles world-wide. The Series 70 Eldorado Brougham introduced many features and accessories to the industry that had never before been integrated into automobiles. Cadillac was the innovator, the luxury leader in the high-end automobile segment. The competition was not only green with envy but paled by comparison with the “Standard of the World.” The opulent Series 70 Eldorado Brougham was the most expensive domestic automobile for its day at $13,074. Special thanks to Daniel Schmitt Classic Cars, Bob Adams Classic Cars, Sarasota Classic car Museum, Wikipedia, Fav Cars.com, and the GM Heritage Center for the use of the lovely photographs of these rare and beautiful automobiles. That was luxury, indeed! I had my first 1957 Eldorado Brougham in 1975, exactly 40 years ago this very day, as a birthday gift. It was a 1:30 model kit, which remained unopened until few weeks ago, when someone broke into my house and took many things, among them the kit. I was very proud to have one like these, although it was a toy! The Legendary 1957 and 1958 Series 70 Eldorado Broughams were the exclusive ultra luxury series of their day. They were custom crafted cars with many components hand made by highly skilled craftsmen. This was an excessive car only the wealthy could afford at that time in history. They carried a hefty price tag of $13,000.00 base price, which was an enormous amount of money in 1957 when adjusted for currency inflation would cost many ,many times that amount today. the overall quality and workmanship on these cars was superb. .The quality was slightly higher than the standard built finest quality Cadillacs ever built being the ’65 and ’66 Fleetwood 60 Specials and broughams. See my previous comments on my opinions of the ’65 and ’66 series 60 Specials and Broughams. Edwin N Corbett Chula Vista ,California.25 year member of CLC National and CLC San Diego Region. 1957 Series 70 Eldorado Brougham, to have just one car this Caddy model would have to be it hands down.